The Ladies Never Rust Humane Spur is designed not to rust. 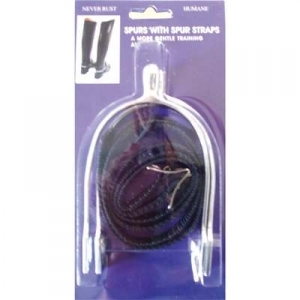 The spur has a round end to reduce the impact on the horse making it more humane. Comes with nylon straps. One Size.